Let’s talk for a moment about how this chubby Italian plumber has the fitness to crush through brick blocks and jump onto tall platforms without breaking a sweat. Does he have superpowers? Is he wearing a fat suit? Is he just a digital avatar performing based on electronic impulses? Ok, fine, we won’t think about it too much. 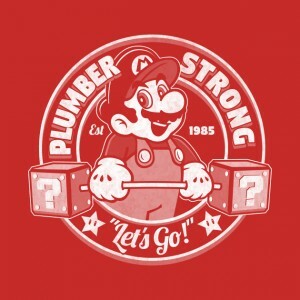 But maybe we could do with a buff plumber at some point. Wrap this cloth around your torso to hide your own fat plumber’s spare tire.